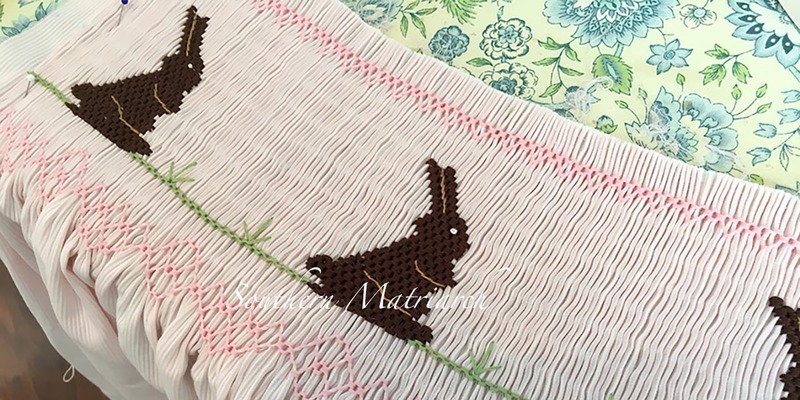 They are missing their bow yet, but they are smocked and blocking on the ironing board. My husband walks in the room and says, "why are they brown?" I guess he missed out on chocolate bunnies as a child. The fabric is Swiss pique that I have am squeeeeezing this dress from. I had plenty but used a large chunk here. It is all good, there just won't be any scraps left and I am a-ok with that. Beautiful!! How I have missed seeing your gorgeous work and being inspired by it. 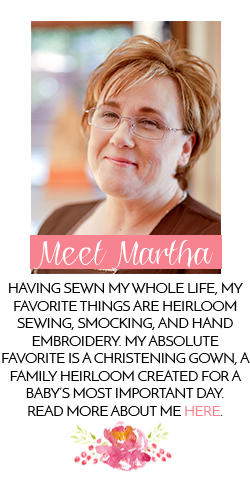 SO glad you are back, Martha!! So happy to see your post!! So happy to see you posting!